Provide comfort for the family of Mary Kate Melton with a meaningful gesture of sympathy. 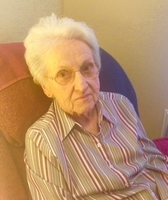 Mary Kate Johnson Melton, 81, passed away peacefully at her home in Greenville, MS surrounded by her loving family on Thursday, April 11, 2019. Born July 16, 1937 in Vardaman, she was the daughter of the late Rubye Neil Johnson and the late Ludie Alexander Johnson. She was a member of Greenfield Baptist Church in Greenville, and was retired from Reliable Electric after many years of service. She graduated from Vardaman High School in 1954, and went on to marry James Edward “Jamie” Melton on April 4, 1957. They spent 58 wonderful years together until his passing in 2015. Among her many hobbies was reading, crocheting, and playing the piano. She also cherished the time spent with her grandchildren and great-grandchildren, which lovingly referred to her as “mamaw cake.” She loved playing board games with them, and was a very competitive player. They will always remember how she wouldn’t “let” them win “just because” they were her grandchildren. Mary Kate is now residing in her Heavenly home, and has been reunited with her husband, Jamie. She will be deeply missed by her family, but the memories she left behind will remain in their hearts forever. Pryor Funeral Home is honored to be serving the Melton family. A funeral service celebrating her life will be held Saturday, April 13, 2019, at 11:00am at Pryor Funeral Home. There will also be a visitation on Saturday from 10:00am until service time at the funeral home. Bro. Robert Alexander will be officiating. Interment will follow at Chapel Hill Cemetery in Big Creek. Serving as pallbearers will be Mike Chandler, Rick Huffman, Don Huffman, Sonny Fugett, Tommy Fugett, and Victor Bruce Johnson. She leaves behind her son, James Terry (Ellen) Melton of Greenville, MS; two sisters, Susie (Rex) Chandler of Grenada and Peggy (Emile) Rollins of Greenville, MS; grandchildren, Emily Lanell (Aaron) Bond of Brandon, MS and Teri Beth (Matt) Samples of Potts Camp, MS; and great-grandchildren, Blake Samples, Trasan Samples, and James Kyle Samples. She was preceded in death by her parents; her husband, James “Jamie” Melton; a brother, George B. Johnson; and 4 sisters, Nelda Huffman, Ruby Gatlin, Alla Mae Johnson, and Nancy Johnson. In lieu of flowers, donations may be made to The ENF Fund, c/o The Elks Lodge #148, P.O. Box 404, Greenville, MS 38702. To send flowers in memory of Mary Kate Melton, please visit our Heartfelt Sympathies Store. We encourage you to share your most beloved memories of Mary Kate here, so that the family and other loved ones can always see it. You can upload cherished photographs, or share your favorite stories, and can even comment on those shared by others. Provide comfort for the family of Mary Kate Melton by sending flowers. Always loved aunt Kate! She seemed to always be happy and making those around her smile. Sending prayers, love and thoughts to terry, ellen, Emily, and Terri Beth. Love you all!